Why Pawn Your Luxury Item To Us? The Luxury Hut local pawn shop in London believes in three fundamental principles – Professionalism, Honesty and Transparency. 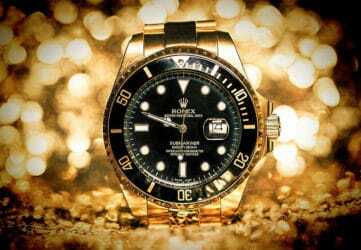 The Luxury Hut pawn shop London has more than 40 years of combined experience in providing pawnbroking loans against luxury assets like expensive watches, diamonds and gold jewellery. As one of the leading and most trustworthy pawnbrokers in London, we pride ourselves on offering a high-quality, confidential and discreet service to our customers. The Luxury Hut pawn shop in London offer loan against luxury watches; be it is vintage, contemporary or modern. Our in-house watch specialists have prolonged experience in dealing with second hand luxury watches. We aim to provide the best value for a luxury watch pawned with us, based on the current market price. 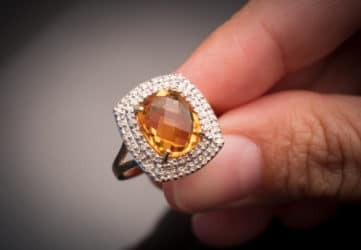 From pre-owned diamond engagement rings, earrings, pendants, bracelets to all gold jewellery items, experts at The Luxury Hut can advise on all kinds of jewellery pieces; be it is antique, vintage or modern. With many years of experience in trading with gold, diamonds and other precious stones, we provide our customers with a competitive value for their jewellery items pawned with us. Call one of our experts on 0207 242 5411 or email at info@theluxuryhut.com for a no-obligation quote. Or, submit our 'Get a Quote' online form or visit us at our office in Hatton Garden, London with your valuables. Our expert evaluators will provide you with an initial estimate, verifying your asset. We will together agree on the amount you can borrow from us, based on the value of your luxury item. If you accept our loan offer, we will pay you immediately. It’s that easy and straightforward. Thanks so much for what I would call wonderful service that I received from your team when I pawned my Rolex watch with you. I was so impressed with the personable service and you all went above and beyond the call of duty, giving me advice for the care of my Rolex. Most importantly got a great price for my watch (and I shopped around!). Much needed money just before Xmas. Hope to deal with you again soon. I am pleased with the service of The Luxury Hut Pawnbrokers in london. I haven’t expected to get such a fast service. They are quite friendly and cooperative. They didn’t take much time for the valuation process, and it was reliable. I loved the way they deal with customers. I appreciate their way of working. I have already recommended some of my friends about The Luxury Hut Pawnbrokers. I felt so glad to get in touch with The Luxury Hut Pawnbrokers London that I would always opt for their service in future. Their smooth, efficient and amiable services towards customers are highly appreciable. They are pretty much fast in their working procedure that I felt very comfortable working with them. All in all, I am satisfied with their service and they are definitely worthy of recommendations. The Luxury Hut Pawnbrokers in London are fantastic. They treated me very friendly and worked fast with their process. They have an expert team that is completely reliable. The process of pawning was carried out smoothly. The entire session was comfortable. I would love to recommend the service of The Luxury Hut Pawnbrokers to others too. If you have any queries about getting a loan against watches or loan against jewellery, do not hesitate to contact one of the professional experts at The Luxury Hut pawnbrokers London.